AT THE age of 11 and a half, my football career probably peaked. In fact, you could say that 1970 was my Annus mirabilis in terms of the beautiful game. In 1969-70, I was leading scorer for my primary school, Benyon of South Ockendon in Essex. I scored 10 goals in 15 and a half games (actually 16 starts). I was chaired off the pitch after scoring a hat-trick in one game, completing a dramatic comeback from two-down. By the halfway point of the season, I had scored seven goals in 10 games, but then disaster struck – twice. Firstly, I started having problems reading the chalk board, which prompted a trip to the school nurse and the horror of all horrors, I had to wear glasses. In 1970, this was the equivalent of having a contagious disease and I was heartbroken. “Never mind, son, Nobby Stiles wears specs,” said one teacher. “But he’s useless, I would say.” I remember it well, it was the day that Sutton United hosted Leeds United in the FA Cup. Days later, I had another setback. Playing football in the playground, I was kicked in the groin. Later that evening, I was rushed to the doctor with a burst bloodvessel. I was confined to bed for two weeks, missing my 11-plus and also in danger of losing my place in the school team. I prayed for snow and it came, by the time I returned, I lined-up to reclaim my number nine shirt (actually, we didn’t have numbers). But it was not all was gloomy, far from it. Chelsea won the FA Cup and I rejoiced, sitting in my kit, writing down the main events from the game and jumping for joy when David Webb nudged the ball into the net for the winner. The next day, before school, I ran to the village green, circled the war memorial and ran back, dressed in my Chelsea kit. 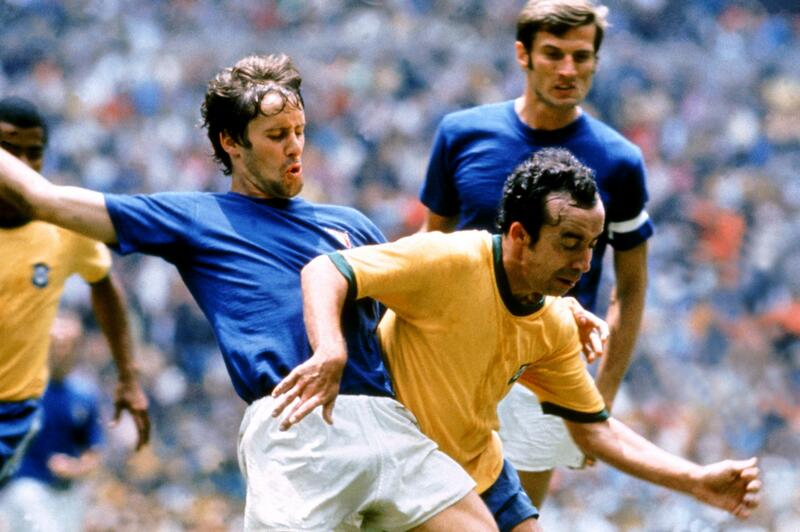 The summer was going to be exciting, for it was World Cup 1970. I had read a lot about overseas football thanks to the International Football Book, which my parents had bought me for Christmas 1969. I was an avid reader of Goal, too, so I was interested in European football at a very young age. I knew about Pelé, Gianni Rivera, Gerd Müller and all the top players of the time. I was excited about 1970, it was my first World Cup. The only problem was, the games were on the other side of the world, how would I get to see a lot of them? I had a plan. I would come home from school, have my dinner and then go to bed, setting an alarm clock to get-up around midnight, I think, to see the games. It seemed to work and I would prepare myself for the evening with some research on the teams and who might be worth watching. I was also doing some scouting for new players for Chelsea, so it was important to know my stuff. I compiled a book of the players I was watching, identified by my sticker book, Charles Buchan’s Football Monthly and Goal. I had read that Brazil’s Tostão had problems with one of his eyes and that he was lucky to be in the squad. I felt some affinity with him, my eyesight had effectively cost me a place in that five-a-side line-up. We were both forwards. I wanted him to succeed. His name went down in my book. I wrote: “Good player for Chelsea. Unusual for a Brazilian, he is very white.” It was 1970. The competition got underway. “Gustavo Peña (Mexico)…takes a good penalty…Byshovets (USSR)…fast, but communist…Ladislao Mazurkiewicz (Uruguay)…good goalkeeper, but difficult name to pronounce, probably not good idea to sign him.” It went on and on, the pattern of going to bed with the sun shining, getting up when everyone was in bed (my Dad hated football) and then waiting for the TV to get warm before seeing a broadcast that looked like it was on the moon or on a similarly far-off planet. This prompted me to start my “Dear Mr Sexton” letters which I sent to the Chelsea manager to recommend players for his squad. I anticipated Fantasy Football and foreign imports by at least two decades. If Mr Sexton had listened, Pelé might have worn the blue shirt of Chelsea and Franz Beckenbauer might have gone on to become as popular as John Terry at Stamford Bridge. But did they listen? There was another aspect to 1970 that makes it special and that was the decision by me and my brothers to play our own World Cup, game-by-game. We had a special pitch at the back of our railway cottage house, on some disused allotments. With old bed frames as goals, we played two-a-side and went through the entire fixture list. If political correctness had been around, we would have been in trouble, for when Peru were in town, we blacked our faces with shoe polish. We had a problem when the polish disappeared before Pelé was due to run-out against Czechoslavakia. I wanted to be Pelé, but the others said I should be Tostão because I had a suspect eye. When England met West Germany in the quarter-final (coinciding with the real thing), I was Peter Bonetti and saved a Gerd Müller penalty. But over in Mexico, there was disaster looming for the “Cat of Stamford Bridge”. I blame the local greengrocers. To this day, I will not forgive Mrs Stone for running-out of Jersey tomatoes. It was like this. I had read in the Victor comic that footballers had lucky charms or rituals. One had a little black cat sewn into his shorts, another would only put his shorts on at the last minute before running onto the pitch, others had lucky underpants, and so on and so forth. Mine was tomato sandwiches. If I had them for tea, Chelsea (or England) would win. It worked in the 1970 FA Cup from round three all the way to Wembley. It also worked in the World Cup against Rumania and Czechoslavakia. When England played Brazil and lost, I blamed it on the fact that the tomatoes were a little green. When England met West Germany in León on June 14, 1970, I was far from confident. I had enjoyed watching the Germans and when we had played their games out on our own stadium, I had worn a swimming cap on my head in honour of Uwe Seeler. Actually, I looked more like “The Hood” from Thunderbirds, but nevertheless, it was a passable representation of Hamburg’s number nine. At half-time, it was 1-0 and four minutes into the restart, 2-0. But then it all went wrong. “For pete’s sake, Mum, are you sure we don’t have any tomatoes?” I said when West Germany levelled. She went in search, scouring the allotment next to our pitch, but nothing. “Then we are doomed,” I replied. And we were. Meanwhile, England were in “our semi-final” but lost 8-7 to Italy. “That Luigi Riva’s some player,” I told my disinterested Dad. “He scored six against England earlier this evening.” The game had to be finished with a neighbour shining his torchlight onto the pitch and we had to replace the ball as a hefty clearance from “Jack Charlton” had sent our best red Frido into the pig sty. But we got there and it meant Italy and Brazil would meet in the final, just like the real thing. We played our game on the morning of June 21, 1970. We had an improvised Jules Rimet trophy, a misshapen carrot with some cardboard wings (we had the carrot for Sunday lunch later) and we even cut the grass on the allotment. “The old stadium’s looking good, I said. “I wonder if we could build a grandstand here, this competition’s been such a success.” We never got planning permission, but it was an ambitious idea. The game was exciting, but my brother twisted his ankle and had to limp off. We stuck him in goal but he could only watch as Italy capitulated and lost 5-3. “If the game this evening’s as good, we will be in for a treat,” I said in my best commentator’s voice. It was, as we all know, possibly the most memorable World Cup of all and I drank-up every second of it. A few hours before the final, our TV packed-up, but my Dad managed to borrow a set from a neighbour. We were very close to a disaster. By 1974, I was an avid fan of Ajax, the Netherlands, Cruyff and Total Football. In my office I have huge posters of Cruyff and Netzer and pennants of Bayern Munich, Juventus and other European clubs. This obsessive interest in football outside the UK has stayed with me and I’m delighted that one of my sons has a deep interest in the game. I don’t write to the Chelsea manager anymore to recommend players, but I’m often tempted. There’s no doubt that it was triggered off by my Mexico ’70.